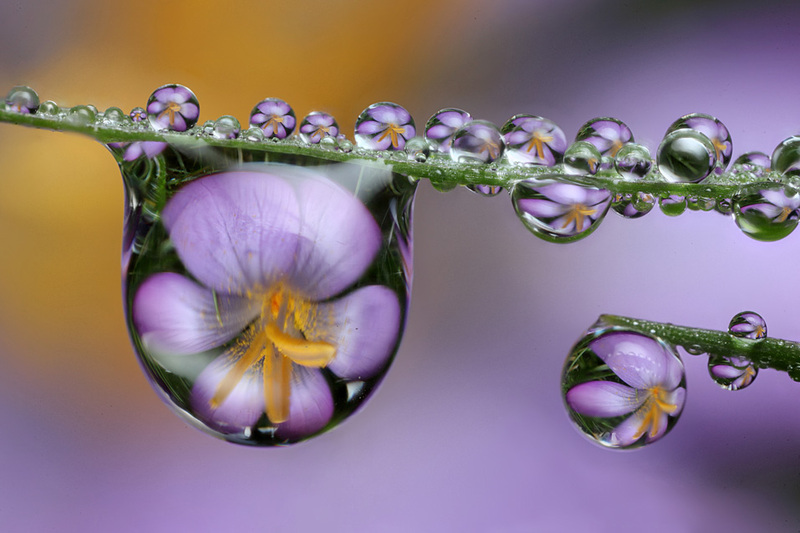 Refractions of a crocus flower in dewdrops on lawn grass. Focus stacked using zerene. Beautiful. 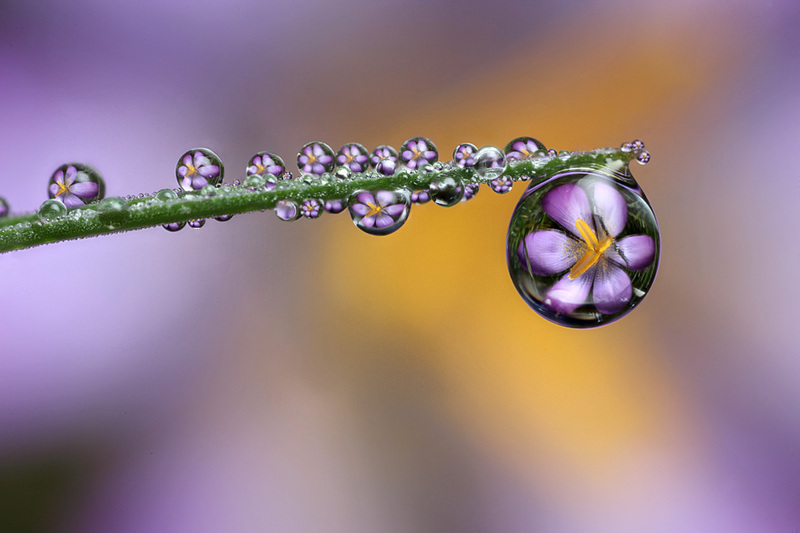 I like how the background colors accent the large dew drop in the second shot. That is absolutely beautiful! Nice work! So oncredibly beautiful!! You are a master for sure!! Beautiful. The second is my favorite.